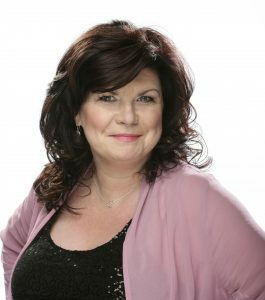 Elaine C Smith is a Scottish actress and comedian. She has starred in the BBC sitcoms, City Lights, Rab C. Nesbitt and Two Doors Down. Smith is best known for her role as Mary “Mary Doll” Nesbitt in the BBC sitcom Rab C Nesbitt, a series based on characters in a Naked Video sketch. Launched in 1990 and set in Glasgow, the show was a cult hit, and ran for nine years on BBC2. The show was revived for a Christmas special in 2008, two new series in 2010 and 2011, and a New Year special in 2014. Smith has appeared in the BBC dramas Two Thousand Acres of Skyand 55 Degrees North, performed alongside Helena Bonham Carter in the British film Women Talking Dirty, and toured Scotland with her stand-up comedy show. In 2010 she took part in an STV tribute to Scottish actor Gerard Kelly. In January 2011 she appeared on Celebrity Mastermind with singer-songwriter Joni Mitchell as her specialist subject. She finished second on the programme. Until 2009, Smith wrote a weekly column in the Sunday Mail newspaper. In late 2009 her autobiography, Nothing Like a Dame was published. In 2015 Smith had a part in the third series of Kay Mellors BBC drama The Syndicate.